TrueCrypt is a software designed to protect your important data by encrypting it. It can also maintain an on-the-fly-encrypted volume (data storage device). Files can be copied to and from a mounted TrueCrypt volume just like they are copied to/from any normal disk (for example, by simple drag-and-drop operations). TrueCrypt Free Download - we do not host any TrueCrypt torrent files or links of TrueCrypt on rapidshare.com, depositfiles.com, megaupload.com etc. All TrueCrypt download links are direct TrueCrypt download from publisher site or their selected mirrors. 7.0 Jul 26, 2010 New Release · Hardware-accelerated AES (for more information, see the chapter Hardware Acceleration). Note: If you want to disable hardware acceleration, select Settings > Performance and disable the option 'Accelerate AES encryption/decryption by using the AES instructions of the processor'. · A volume can now be configured to be automatically mounted whenever its host device gets connected to the computer (provided that the correct password and/or keyfiles are supplied). 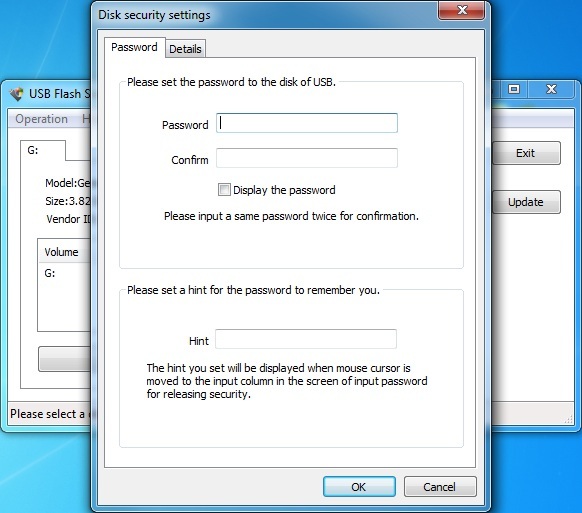 Note: For example, if you have a TrueCrypt container on a USB flash drive and you want to configure TrueCrypt to mount it automatically whenever you insert the USB flash drive into the USB port, follow these steps: 1. Mount the volume. 2. Right-click the mounted volume in the drive list in the main TrueCrypt window and select 'Add to Favorites'. 3. The Favorites Organizer window should appear.